With a population of 30,000, Master’s Touch has had the pleasure of working in Needham, Massachusetts for many years! 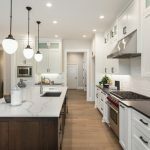 If you are looking for a professional home improvement contractor who is experienced in Kitchen, Bathroom, Custom homes, and more, you can count on us to get the job done right! From design to installation, our full-service team creates masterpieces that will fulfill your wildest or most simple dreams. Have you ever dreamed of having a brand-new kitchen that provides space and is well-equipped? Is it time to upgrade your kitchen? No matter what your remodeling needs may be, Master’s Touch is here to serve you. We have been the leading contractors in Needham for many years. Whether you already have a vision or simply want us to design up something beautiful, the options are endless. If you are looking for a free consultation, please get in touch with our design team at 508-359-5900. Did you know that bathroom remodeling can increase the resale value of your home if you ever decide to sell? Enhancing your bathroom can give it a more functional and comfortable feeling. At Master’s Touch, we can create that elegant, modern, slick look you have been waiting for into reality. Please feel free to check out the recent bathroom projects we have been working on. The creative staff at Master’s Touch specializes in unique design that can make your home stand out from the rest. Our top priority is ensuring you have the best team around you from start to finish. If you would like to learn more about our services, please give us a call today at 508-359-5900.